It began with a boycott of Jewish shops and it ended in the gas chambers, as Adolf Hitler attempted to exterminate the Jewish population in Europe. Six million victims were annihilated and their voices and stories lost forever. Professor Christiane Solte-Gresser from Saarland University in Germany interprets Holocaust literature about dreams to help tell the story of the millions who disappeared. People frequently also use the concept of a dream to discuss the ideals they desire to attain in their life – for example, the ‘I Have a Dream’ speech delivered by Martin Luther King Jr or the idea of ‘The American Dream’. Given the importance of dreams in expressing our hidden desires or our deepest fears, dreams are regularly used as a literary device by artists, composers, poets, playwrights, novelists and non-fiction writers. Taking the series of Harry Potter books as an example, even before Harry knew he had magical powers, the magic had started to percolate through into his dreams. By mixing reality and imagination inherent in dreams, the author is able to creatively explore an aspect of the story in order to evoke certain expectations and elicit certain emotions or reactions from the reader. The Holocaust, also known as the Shoah, was state-organised genocide in which six million Jews and other victims were murdered by the Nazis and their abetters during World War Two. Part of the Nazis’ plan was total annihilation of the Jewish population in Europe, and as a result, Jewish people were eradicated in most towns and cities. 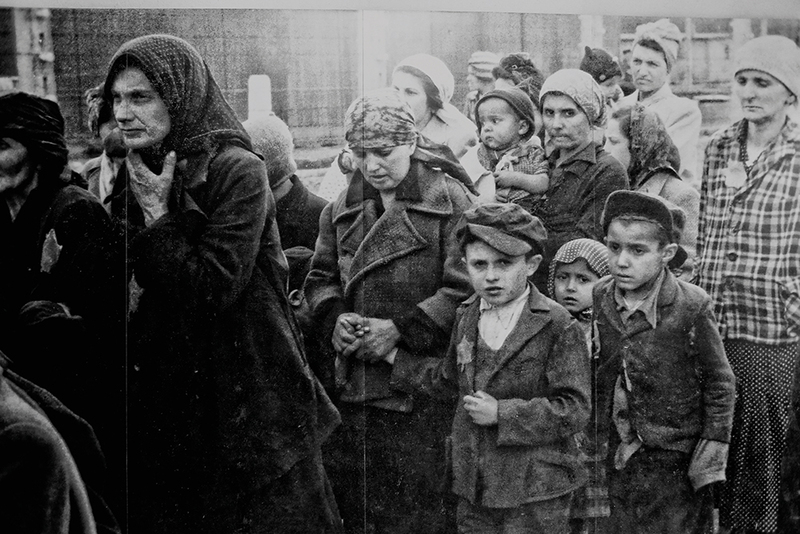 In many ways, the Holocaust is a story that has never fully been told. Holocaust survivor Primo Levi described the Holocaust as an event without witnesses, as most victims were annihilated and their voices silenced forever. 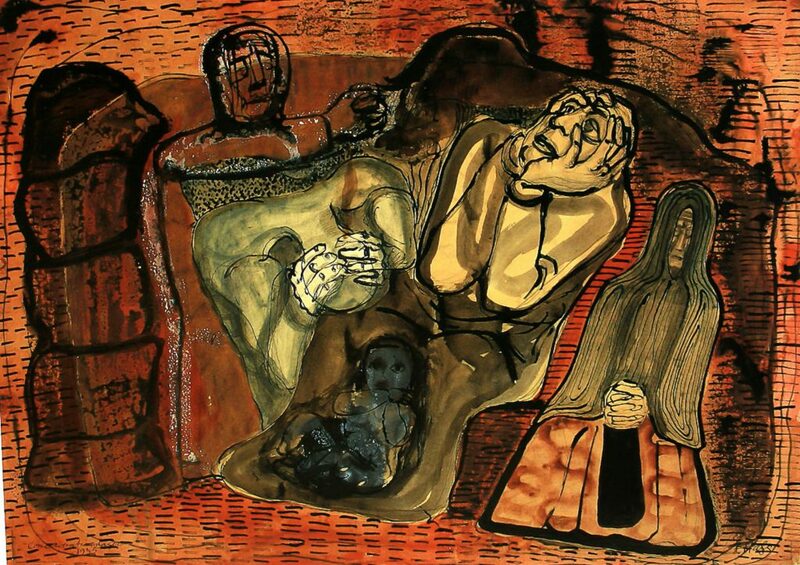 Of the people who survived the Holocaust, many were either too traumatised to explain what they experienced, or they did not feel able to speak on behalf of the dead. The Holocaust is also difficult to portray in conventional narratives or visual approaches, because it exceeds our imagination. Holocaust survivor Elie Wiesel described the event as the murder of humanity. As such there is a paradox inherent in depicting the Holocaust – that is the telling of something that is untellable. This is where literature, and especially the literary depiction of dreams, comes into the picture. 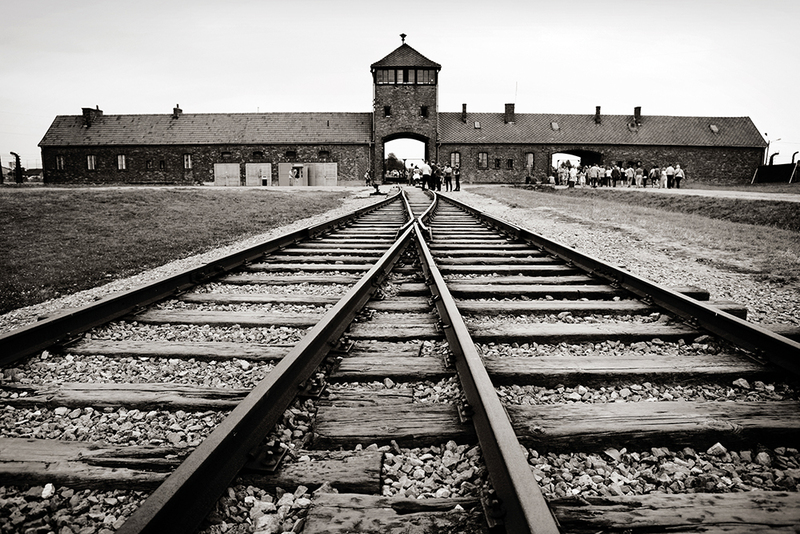 Given the importance of dreams in our everyday lives and as a literary device to express the unutterable, it is not surprising to see that numerous texts about the Holocaust use the dream as a narrative or poetic technique. For example, a Holocaust survivor’s nightmare can reflect the transmission of the trauma experienced in the concentration camp. 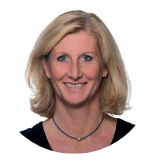 Professor Christiane Solte-Gresser is a contributor and spokesperson at the European Dream Cultures Research Training Group, at Saarland University in Germany. The European Dream Cultures Research Training Group researches the literary, media and cultural histories of the dream in Europe. Alongside her colleagues in the research group, Professor Solte-Gresser explores how the representation of dreams in literature and arts transcends eras, media, languages and cultures. This research is innovative in its approach to dream interpretation – in contrast to psychological decoding of dreams, it is cultural-constructivist and focuses on poetics and media. In her scientific research, Professor Solte-Gresser explores Holocaust literature to gain new perspectives and to increase our understanding of the Holocaust. As she explains: ‘The literary and autobiographical texts produced during the Nazi tyranny and right after WWII already show a significant source of knowledge, namely both knowledge about dreams and about the Holocaust trauma.’ Professor Solte-Gresser also focuses on post-Holocaust texts, which, as she explains, ‘pull the dreamer right back into the concentration camp experience.’ Her objective is to assess how literary texts make the inconceivable experience of the Holocaust comprehensible to the reader. Professor Solte-Gresser compiles literary texts about the Holocaust that use dreams as their method of expression, and then compares them, paying particular attention to their functions and various literary forms. She analyses texts of real dreams in autobiographical writing as well as in fiction. For example, she studies concentration camp dreams from narratives, stage plays, poems, reports, music and films, across different languages. In her analysis, Professor Solte-Gresser found that there is a broad range of motifs, themes, and narrative styles that are deployed to approach the Holocaust through literature, and that these are present in both autobiographical and fictional dreams. Through her compilation of literature and analysis, she found that there is broad ambiguity and inconsistency in presenting the dream. However, the dream is presented in such a way that it condenses perceptions and experiences of the Holocaust, making it an essential way of exploring its unimaginable horror. Professor Solte-Gresser finds that some of the texts describe the reality of the concentration camps, ‘where the fine line between life and death becomes so fragile, the hallucinations, delirium, and agony of it all dissolve the boundaries between waking and dreaming.’ For other survivors, dreaming was an escape from the reality of the concentration camps, and for later generations dreams are sometimes regarded as a way to reunite with the dead and to give them a voice. As a society of storytellers, and given that there is no ‘sense’ to the Holocaust, we need to examine the testimonials and various literary memories, and use them as a vehicle to bring about a better society. The Nazis wanted to erase Jewish culture and memory from the world, and it is society’s duty to prevent this from happening. Keeping the memory of the Holocaust alive is now more important than ever before, because most Holocaust survivors are either reaching the end of their lives or have already died. This is why literary and even fictional preoccupations with our past are so indispensable. 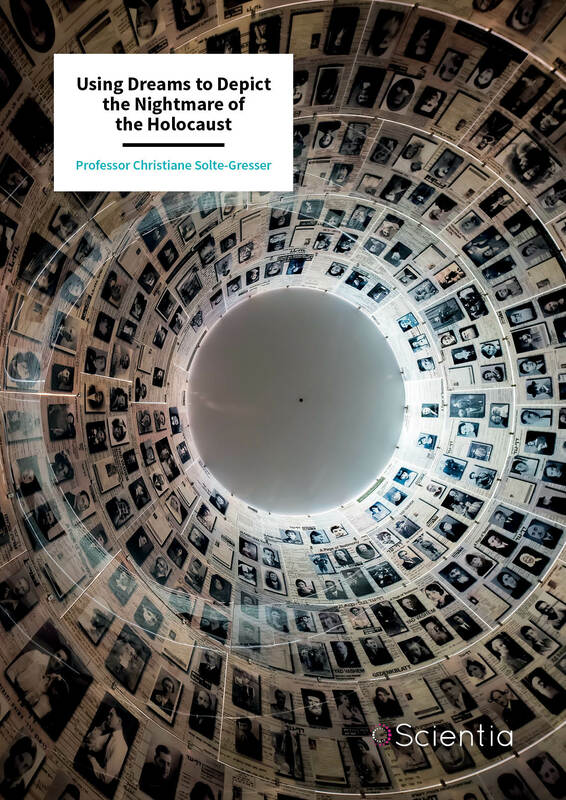 Professor Solte-Gresser’s critical reflection on the untellable aspects of the Holocaust and her decoding of dreams, recovers and passes on knowledge of the Holocaust. She explains that this knowledge is not accessible in any other way. Her research helps to personalise the Holocaust and to establish individual experiences amid a sea of facts and statistics. Professor Solte-Gresser is continuing her work on the cultural and media history of the dream in Europe, and has ambitious plans lined up for the European Dream Cultures Research Training Group. Among many other projects, Professor Solte-Gresser and her colleagues have set up a Wiki page called ‘Traumkulturen’, which outlines their analyses of examples – from literature, film, theatre, painting, comics, computer games and music – mentioning dreams, such as texts written by Holocaust survivors. Although still in its infancy, Professor Solte-Gresser hopes to expand the range of entries on the website and welcomes interest from researchers who want to read the contents or contribute their own material. In addition to the joint dream Wiki, numerous books and articles on European Dream Cultures have already been published or are in the works. These attest to the Research Training Group’s research achievements and serve as a comprehensive and unifying overall structure for individual research approaches. The Research Training Group also intends to continue publishing its newsletter about their activities, which is typically available each semester. As spokesperson for the European Dream Cultures Research Training Group, Professor Solte-Gresser aims to continue the group’s current activities, such as conferences, meetings, cultural projects opened to the general public, and workshops. These forums provide researchers with the space to discuss their findings with peers and wider audiences. Professor Solte-Gresser and her colleagues also incorporate their research findings into their teaching curricula, which 30 PhD students and postdoctoral researchers currently benefit from. After graduating in Germanic and Romance studies in Bremen and Paris, Professor Christiane Solte-Gresser obtained her PhD from the University of Bremen. Before transferring to Saarland University, she served as Associate Professor of French and Italian Literature at Goethe University in Frankfurt, and visiting professor at Aix-Marseille University in France. Professor Christiane Solte-Gresser is currently a Professor of General and Comparative Literature, and the Chair of Comparative Literature, at Saarland University in Germany. Here, she is also the spokesperson for the European Dream Cultures Research Training Group. Her main research interests are in narrative research, such as the aesthetic representation of everyday life and of dreams, the relationship between literature and philosophy, the history of autobiography and literary theory. The project is funded by the German Research Foundation (2015-2019). The decision about an extension until 2024 will be taken in May 2019.